Mujahid Dokubo-Asari, ex-Niger Delta militant leader, has reacted to T.Y. Danjuma’s call that Nigerians should “rise and defend themselves” from killer herdsmen. 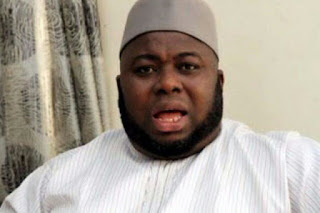 In a video posted his Facebook page, Dokubo commended Danjuma for his stance, and advised the national leader of the All Progressives Congress, APC, Bola Tinubu to speak up. Dokubo wondered how long Tinubu would keep taking ‘sh*t’, adding that Yoruba leaders like Obafemi Awolowo would not have remained quiet. According to him, “I’m so happy with Danjuma’s comment, few weeks ago I talked about some of our political elites including Danjuma and he has roared, there is an earth quake, everywhere is unsettled. “We have to appreciate some of this people that have conquered their fears. He spoke the mind of those who are too afraid to speak. “Tinubu stand up and fight for your people if you claim you are a leader. I don’t think Awolowo would have accept this if he was alive. The worst of Yoruba leaders would not have accepted what you are taking by putting the race to riddle and shame. “Danjuma, you have spoken our mind and we are going to respond in the most equal proportion. If those people, herdsmen, think they can kill why won’t others kill them.